I love libraries. I love the smell of books and being surrounded by words and worlds of possibility. Library visits have always been the highlight of my week. And now, when I need to recharge, I curl up with a good book and I’m happy. 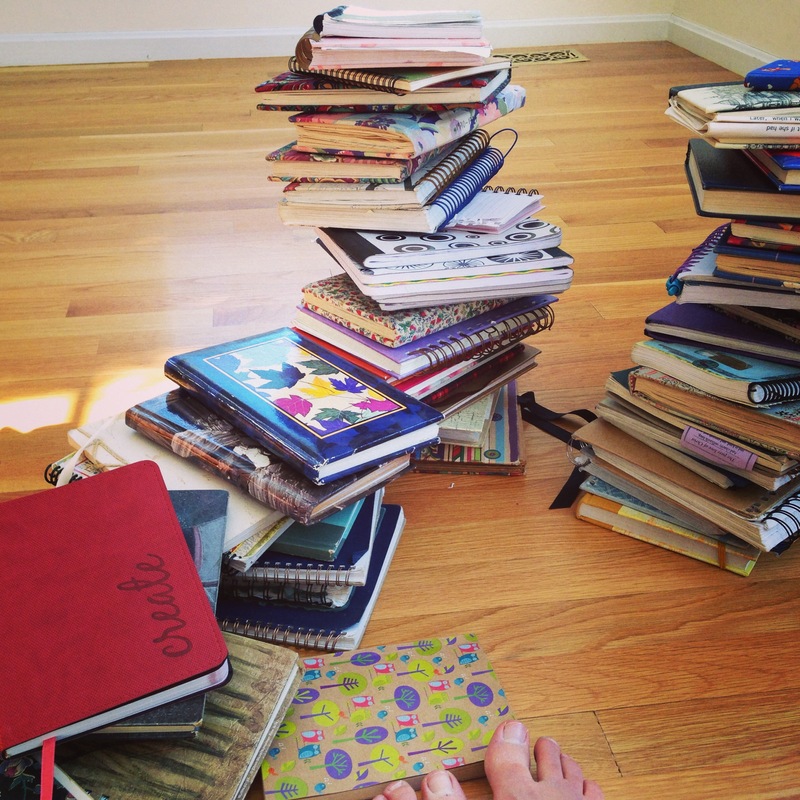 My 11 year old daughter, Naomi, shares my love of books. She reminds me of myself when she reads as she walks down the street or brushes her teeth. Just last night I caught her reading at 10:37 pm--way too late for a school night (or any night!) We often have reading parties sprawled on my bed, immersed in our imaginations. In September, a few weeks after we embarked on our homeschooling adventure, Naomi announced she needed to learn more. I told her to find a project that would occupy her mind and heart and help her learn. To read more of this post, go to Children's book Academy, here. Kirsti Call: You’ve been a teacher, a theater educator and a nanny. What is it about writing picture books that has you hooked? Marcie Colleen: I once heard someone say that you write for the age that you feel most connected to, or that you yourself are stuck in. I write for that little six year old girl inside me who never grew up. She is still very much alive. If you don’t believe me, ask my sock monkey! In all seriousness, though. I love the puzzle of the short form. I love working within given structural parameters and making it work so that readers will think or laugh or cry within only 32 pages. A picture book is like the tastiest morsel of all the story forms to me. KC: How long did it take you to get your agent, Susan Hawk? MC: After several years of working on my craft, I deemed 2013 “The Year to Find an Agent.” I sent out my first query in late January. By May I had a few offers. And in June I signed with Susan—my dream agent. Sure, January to June seems like a very quick time to grab an agent. However, the craft-building and researching that came the years before those six months were where it really all happened. Once January 2013 rolled around I just wrote a query email, attached a manuscript and hit send…oh, and then went back to writing! KC: You recently got contracts for 3 of your manuscripts. I love the title: LOVE, TRIANGLE and I can’t wait to read it. Can you tell us about those stories and what we have to look forward to? To read more of this interview, go to writer's rumpus, here. 1. Take advantage of the quiet moments: There's always an eye in the storm. The baby is quiet. The phone isn’t ringing. The older kids are playing cooperatively. You are doing the dishes and you are alone! Take this time to write in your mind. I actually thought of this post today in the car on the way home from a dr.’s appointment. I got home, typed this up, and walla! 2. Carry a notebook or smart phone with you at all times: Strong winds will carry your ideas away, so write them down immediately! 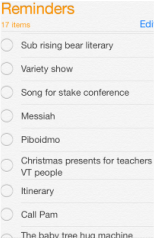 Even if you can’t write hundreds of words a day, writing even one word a day can be inspiring (see PiBoIdMo). If you have a way to record your ideas when they come, you’ll get more writing done! My little pink notebook accompanies me everywhere. To read more of this post, go to Children' Book Academy here. 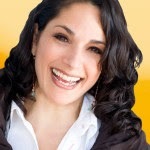 Tara Lazar, founder of PiBoIdMo and talented author! 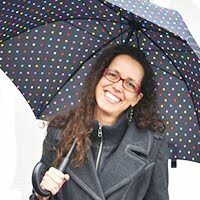 Kirsti Call: I first became aware of Tara Lazar when I joined her Picture Book Idea Month (PiBoIdMo) challenge. What a wonderful way to connect with other writers in a common goal–one picture book idea a day for the entire month of November! Last year I wrote an entire post about PiBoIdMo, and this year, I’m thrilled to have the opportunity to interview Tara and learn from her insights! How did you come up with the idea for PiBoIdMo? All those NaNoWriMo people, having so much fun, sharing their successes, inspiring one another. I wanted to be part of it, but I did not want to write 1500 words a day! What’s a PB girl to do? I had to devise my own challenge. And at that point, in 2008, it was a challenge just for me. And maybe my critique partner, Corey Rosen Schwartz. To read more of this post on Writer's Rumpus, click here. I love a good book that makes me feel like the main character is my friend. Jerusha Abbot in Daddy Long Legs, is a character that I will always love because she is so real to me. How do we make our characters come alive? Here is an exercise that helps me. 1. Sit in a chair and pretend you are your character. Think, move, talk, feel, and act like your character. 2. Have some friends or family ask you questions, and you respond as if you are your character. They can ask you anything. Here are a few ideas. To read more of this post on Kids Are Writers, click here. Everything sparks ideas. But capturing ideas before they flee is daunting. For me, whimsical and wily inspiration comes from problems, experiences and observations. 1. Problems: When my daughter Sydney was in first grade, she wrote a song in response to a bully. After she sang it to her class, the bully approached her. Sydney's problem inspired her to write a song that not only solved her first grade bully problem, but also drove the creation of our family band. My childhood problems tend to resurface in my writing. Ultimately all of my main characters figure out a way to overcome doubt and be true to themselves. In Cornelia Funk's The Princess Knight, Princess Violetta wants to do things that are unexpected of her. Strong women who defy stereotypes appear in all of Cornelia Funk's books and I wonder if this was a problem for her. See more at Children's Book Academy. Writing has everything to do with chickens. At least that’s how it feels as I embark on my new homeschooling/backyard chicken adventure. Have you ever noticed that our language is inundated with chicken references and idioms? 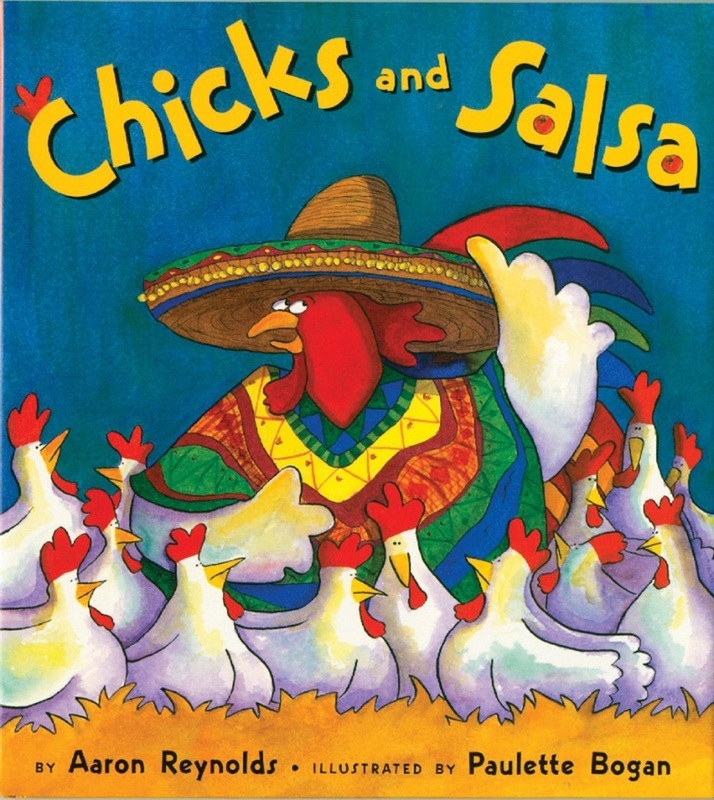 That was part one of my chicken unit for the kids: Find and define as many chicken sayings as you can. They came up with 82! Chickens have personalities, and preferences, and they are curious. Who knew? No wonder there are so many picture books about chickens! So with the help of my chickens, I’ll tell you about 3 tips for hatching stories. 1. Fly the coop. Chickens need to leave the coop and get some light if they want to produce eggs. That’s why a chicken run and time away from the coop in essential. Sometimes as writers, we feel cooped up or overly scheduled. This squelches the writing juices and we can’t produce. Don’t fill your life so full that writing isn’t possible. Write in the treehouse, at the library, in a park, or on a swing. You’ll lay your best eggs when you fly the coop! To read more of this post, go to The Children's Book Academy! When I opened the package containing Colors of the Wind, by J. L. Powers and George Mendoza, I instantly knew it would be a hit with my kids. 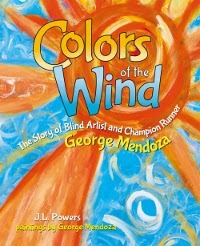 The stunningly beautiful picture book is written about George Mendoza, a blind artist and athlete who also illustrated the book. I read this book to my 12, 11, 8, 6, and 4 year old's and they were mesmerized. The story is visually arresting and the pictures fit seamlessly into the narrative. The story of George is inspiring and motivating...if a blind man can win Olympic medals and paint, than anything is possible. The message to work hard and persist in following your dreams is an important one and this book share that message very well. We'll be reading this story over and over again for the story, the words and the breathtaking paintings. Well done, J.L. Powers and George Mendoza! Dr. Mira Reisberg is a font of knowledge. 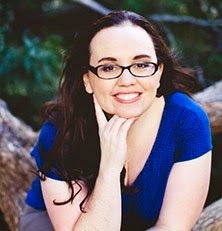 Her passion for children’s literature and children’s book writers is obvious in everything that she does. I’ve taken several courses with The Children’s Book Academy and loved every minute of the experience! 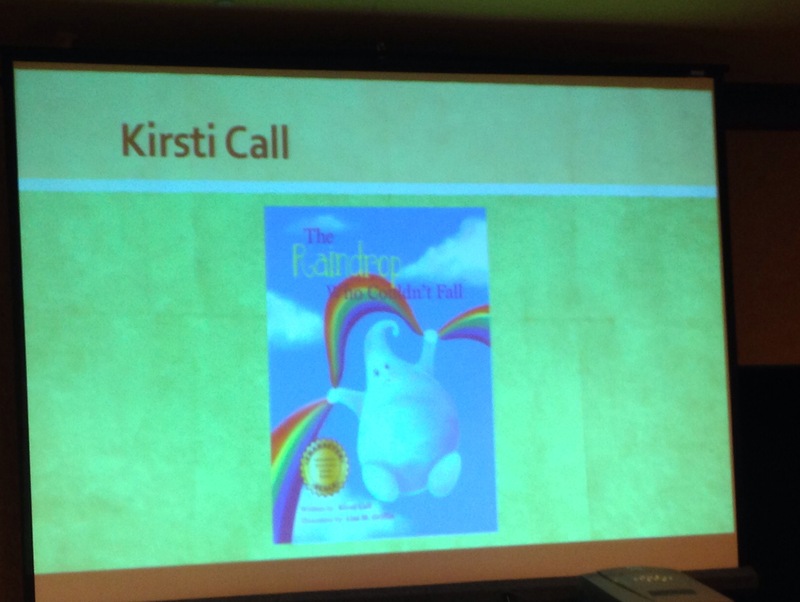 Kirsti Call: You are an author, illustrator, teacher, and until recently, an agent. How do you decide what to focus on? 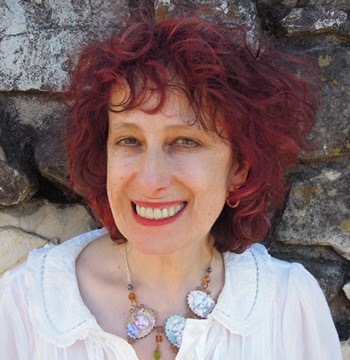 Dr. Mira Reisberg: First of all, thank you for interviewing me on Writers’ Rumpus. It’s a pleasure to be here. This is such a timely question for me because after working 14-20 hour days for a year, I realized I couldn’t do it all. The pressure to earn a living combined with the pressure to do well by my clients, plus having a traumatic experience during the summer, took its toll and I got very sick. When I thought about what I loved most about agenting, it was helping others and working editorially, both of which I could do through the Children’s Book Academy, so I contacted all the outstanding editors who hadn’t said yay or nay, forwarded the clients’ contact info, and shut the agency down. It was very hard, but now I wake up without pain and anxiety, truly excited to be funneling my masses of creative energy into the Academy. We just had a webinar that 681 people signed up for, which is outrageous. KC: I’ve taken several courses from The Children’s Book Academy. You are a phenomenal teacher and mentor. What is your favorite class to teach and what courses are coming up soon? Read more of this interview here, on Writer's Rumpus!!! When I first read about Danielle Smith about a year and a half ago, I liked her immediately. Her knowledge and love for children’s literature make her the perfect resource for writers and readers alike. 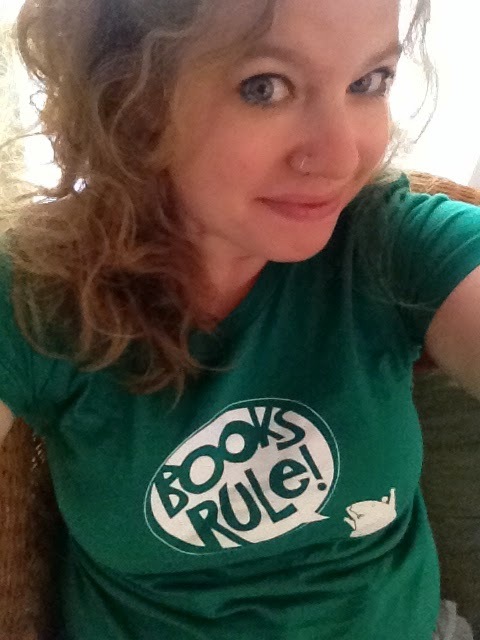 KIRSTI CALL: Welcome to WRITERS’ RUMPUS, Danielle. What is your favorite thing about being an agent? DANIELLE SMITH: My favorite thing would have to be working with my clients and watching them grow through the process. More specifically being a part of their success. I’ve always been the type of person that enjoys giving others the tools to shine in the spotlight and that makes this one of the very best jobs for me personally. KC: What is your least favorite thing about being an agent? DS: Getting rejections for books I love. We all get rejections, at every stage in this process. For me, I only take on projects and clients I truly love and am passionate about. So receiving a rejection hurts almost as much as if it were my own writing. That said, one or even a dozen rejections on one piece doesn’t mean the end. There’s always more and it only takes one editor to love a piece to make things happen. KC: Writer’s get so excited about the prospect of having an agent interested in them. How can a writer really know if an agent is right for them? Click here to finish this interview on www.writer's rumpus.com. Let’s take a look at stories from our childhood. An elephant and a pig are best friends. A dinosaur longs to dance the ballet. A princess saves the prince from a dragon. What do these stories have in common? They are unexpected! Unexpected friendships create interest. In Mo Willems’s, Elephant and Piggie series, we are not only surprised that elephant and piggie are good friends, but they also have opposite personalities. In Nugget and Fang, a shark and a minnow are unlikely friends. We want to read about how a shark and a minnow can possibly get along. Unexpected goals create tension. In Brontorina, a dinosaur longs to dance, but she is too big for the ballet studio! This unexpected goal for a dinosaur creates a great problem for the story. In Out of My Mind, every character in the book is surprised when Melody wants to participate in an academic bowl. They all assume that she isn’t smart enough, just because she has cerebral palsy. Her goal is unexpected and this creates tension and we want to turn the page. Unexpected plot twists surprise the reader. In Paper Bag Princess, the princess is the hero who saves the prince and in the end chooses not to marry him. This is the opposite of what we expect of a princess! Artemis Fowl is a kid who wants to be a criminal mastermind and succeeds. We do not expect a kid to be the villain, so we keep reading. Now it’s your turn. 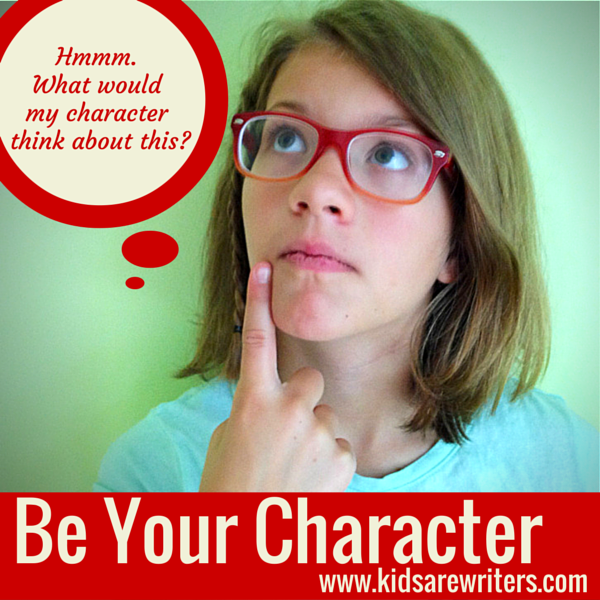 Think of a character. Give him the opposite of what you would expect. Maybe you’re thinking of an owl who wants to sleep at night, or a pig that wants to be clean, or a little pea who hates to eat candy! 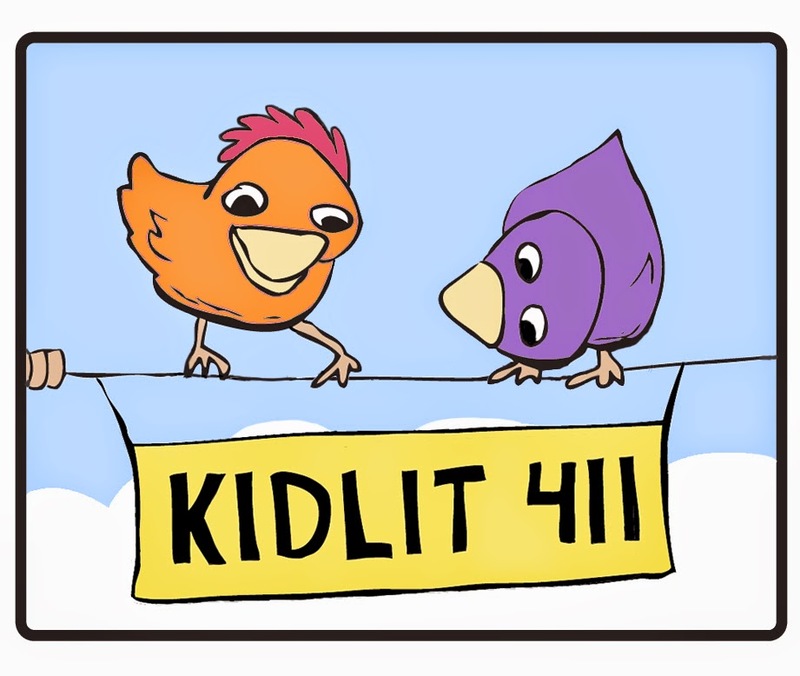 Kidlit411 is exactly what it sounds like; a high quality site with all the information you would ever want as a kidlit writer or illustrator. Elaine Kiely Kearns and Sylvia Liu, my fellow 12x12ers, launched Kitlit411 in January 2014 and received over 11,400 page views the first month. 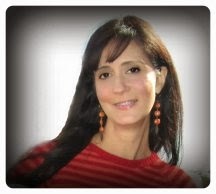 With author and illustrator spotlights of people like PB author-illustrator Debbie Ridpath Ohi, and graphic novel artist Janet Lee, Kidlit411 fills our insatiable need for knowledge. Kidlit411 features interviews of agents like Jodell Sadler, and #1 New York Times Bestseller Drew Daywalt, Michael Ian Black, and Will Terry. The first time I read Kidlit411, I knew it filled a need for kidlit writers everywhere. I’m thrilled to get the inside scoop from Elaine and Sylvia. Kirsti Call: Hi Elaine and Sylvia. Thank you for allowing me the privilege of interviewing you! What was the impetus for starting Kidlit411? 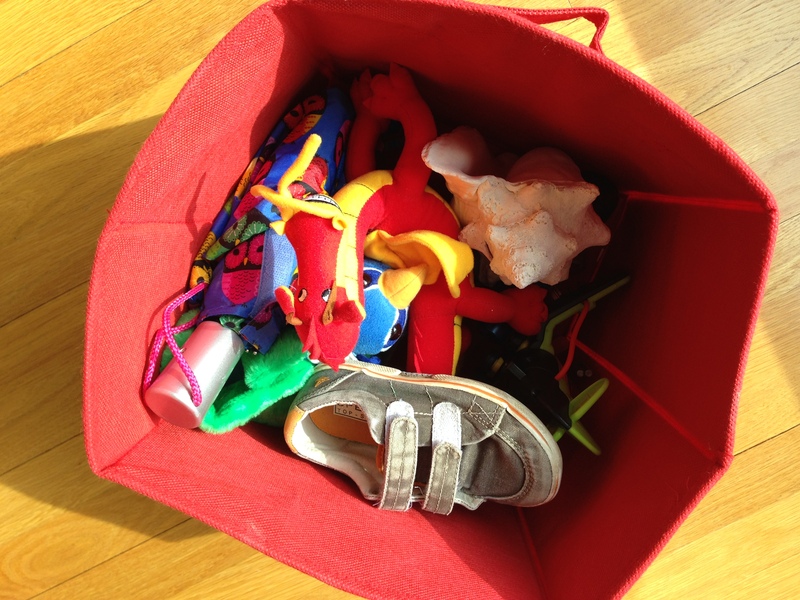 Elaine Kiely Kearns: KidLit411 came about from my need to pool resources from the internet. There are so many great sites out there and the kid lit community LOVES to share information! The amount of resources shared in Julie Hedlund’s 12×12 was so fantastic that I couldn’t keep up and needed a place to put it. So, I started making a list of the sites that I would return to again and again, to share with my online critique group. Then I thought that perhaps other friends in the kid lit community would enjoy the information too. Sylvia offered a fantastic template for us to use, and KidLit411 was born! Sylvia Liu: Elaine started the site, but I knew it was a winner as soon as she told our critique group about her idea. We helped her brainstorm what the site might look like and I helped her set it up with our Pinterest-style front page. KC: How do you decide what to include on the site? EKK: Every link that is posted on our site has been vetted. 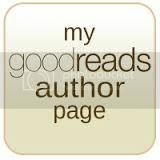 We make sure that the content has some type of significance for a writer of kid lit. The people that we recommend for critiques, we have either personally used or a member of the team has recommended them. We strive to post the cream of the crop, even though it is very time consuming! We want to give our readers the best of the best and firmly believe that you can only do that with due diligence. SL: We add links for articles that we would want to read and learn from. We’re in many kidlit groups and people are always sharing great resources, so we never run out of good material. Finish reading this post on writersrumpus.com. 4 Steps to Making Objects Come Alive in Your Writing! Can socks talk? Do eggplants have feelings? Can steering wheels choose to turn? As writers, we can make anything come alive. When we make objects or animals have human qualities, it’s called anthropomorphism! Here’s how to use anthropomorphism in your story. 1. Choose an object. Look around the room. Find an unlikely object. Maybe your dirty laundry, or better yet, the scribbles your little brother left on the wall. 2. Imagine how that object feels. If your dirty laundry is on the floor, it might feel sad or neglected. Maybe it wants to be in the laundry room because it’s ready to get clean? The scribbles on the wall may feel proud to be somewhere they aren’t supposed to be. Or maybe they’re scared that someone will wipe them off the wall and they will be gone forever. To read this rest of this post, go to kids are writers. 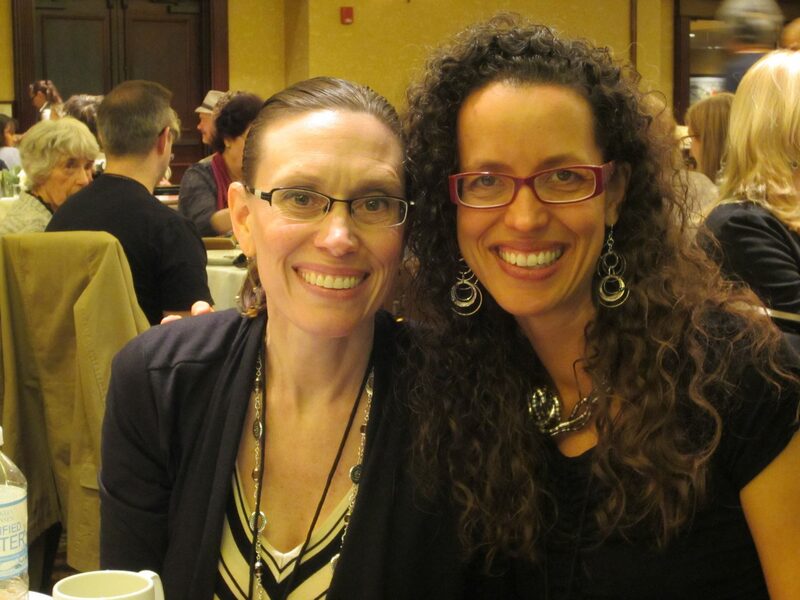 3 Things I learned at NESCBWI! 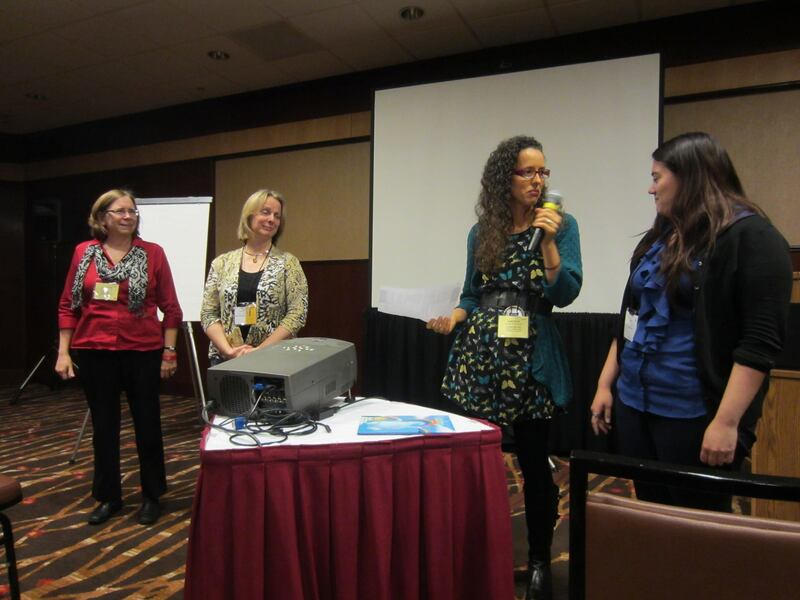 NESCBWI’s spring conference earlier this month crackled with creativity. It was almost palpable, a beating heart infusing life’s blood into every writer and illustrator at the conference. The theme, Create Bravely, helped me arrive determined to soak up knowledge and make connections. Here are 3 things I learned at the conference. 1. It doesn’t hurt to approach people. I’m a closet introvert. I force myself to talk to people because I know that’s what I should do. Talking to people I didn't know all weekend was draining, but worth it. I met dozens of writers, illustrators, 2 editors and 2 agents. Each one of them was a real person just like me. 2. Connections happen when you make an effort to connect. I almost didn't stop Peter Reynolds as he walked by, but I took a deep breath and told him how inspired I was by his keynote speech. Approachable and kind, he stopped to talk and gave me a round wooden chip. 3. Kidlit writers are my kind of people. Kidlit writers and illustrators are warm, kind and helpful. When I sang at Open Mic Night, I had 6 brave volunteers. 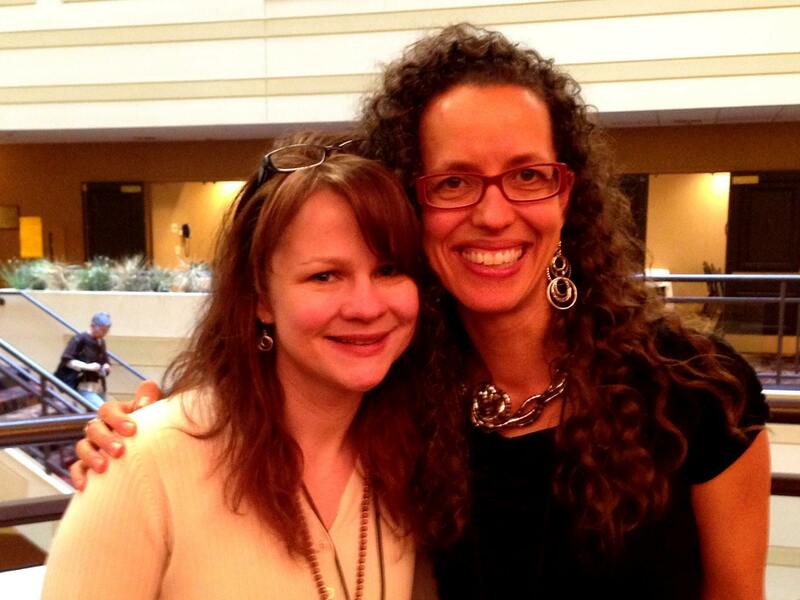 I met my phenomenal writing partner, Carrie Brown in person for the first time! She is just as wonderful in person as she is on-line! I met with my fellow 12x12ers, whom I adore! I met my lovely illustrator, Lisa Griffin. Her whimsical illustrations make my book shine and when she said my story resonated with her, I once again felt blessed to be part of the kidlit community. It was surreal to see my book appear on the screen throughout the weekend. I came home ready to live, connect and create more bravely. Interview with Katie Davis plus Giveaway! 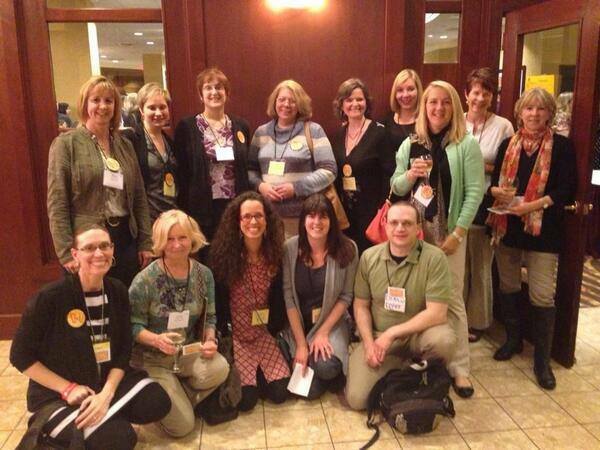 I met Katie Davis at the NESCBWI Conference last spring. Her energy is unrivaled and her books are delightful. I’m thrilled for the privilege of interviewing her! Hi Katie! I took your Video Idiot Boot Camp course and I was impressed with how clear and practical it was. I learned how to make creative and fun videos in a very short period of time. Your book, How to Promote Your Children’s Book, is much the same. It’s filled with practical advice, tips, tricks and personal stories that will help any author who is trying to get their work out there. In fact, I’ve used many of those tips in promoting my debut picture book. What was your impetus for writing a book about marketing children’s books? But I also thought it would help to promote my own platform and my growing coaching business, and it has definitely done that. 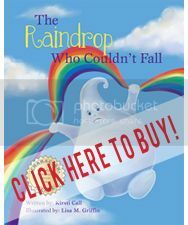 Kirsti Call: You have nine children’s books published and more coming soon. How has children’s book marketing evolved over the years for you? Go to writer's rumpus to finish reading the interview! 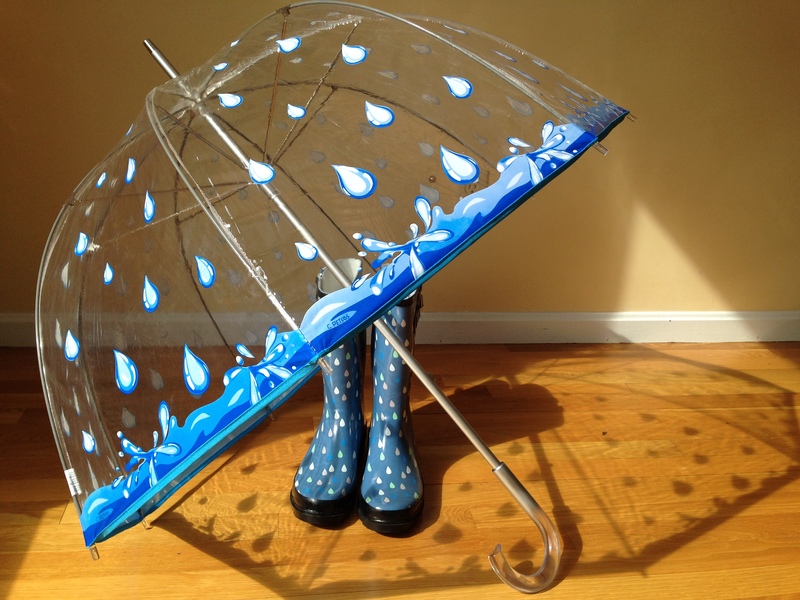 I went to my first school visit armed with an umbrella, rain boots, a Google presentation, a box full of interesting objects, signed copies of my book and my own apprehensions. Would the kids listen? Was I dynamic enough to keep their attention? Would the kids respond to my silly jokes and the questions I asked them? Would I run out of things to say? Did I have too much prepared? Would the teachers and principal feel I was wasting their valuable teaching time, not to mention the money they paid me for the visit? I went to the school a day early to make sure the technology was working. The next day, I arrived an hour early to set up for my presentation and the technology wasn’t working. After trying to make it work for over an hour, I told the principal to call the kids in. “I can do it without my visuals”, I assured him. I got one last spark of inspiration, ran to the office, downloaded once last time, and as the kids were filing in, I got the Google presentation working! I wiped my brow and began with a shaky smile. Was I ready? 300 kindergarten, first and second graders looked at me expectantly. “ When I was your age”, I began…. We sang an onomatopoeic song, created a word storm, read first lines of perfect picture books. They asked me questions about my book. How can a raindrop think? How many stories have you written? How long did it take for your book to get published? My second session with 250 third, fourth and fifth graders was easier. I was in the flow. We sang my onomatopoeic song again (without embarrassing my fifth grade daughter! ), created our own story from a box, and I showed them all the red my editor sent me when we were revising The Raindrop Who Couldn’t Fall. More questions about stories and raindrop’s brains…and I was done!